If you enjoy in working in a challenging environment, you've come to the right place. Things move pretty quickly around here. A potential job in an expanding company might be awaiting for you! 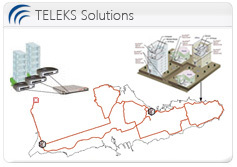 Send us your CV for review at jobs@teleks.com.mk.